We had a quite a 2017. 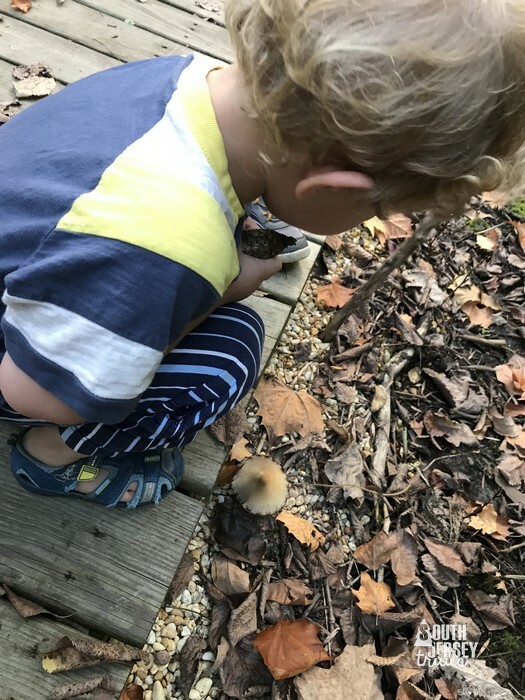 Adorable new baby to hike with, fancy new website, and some media attention starting with a feature in the Philadelphia Inquirer. 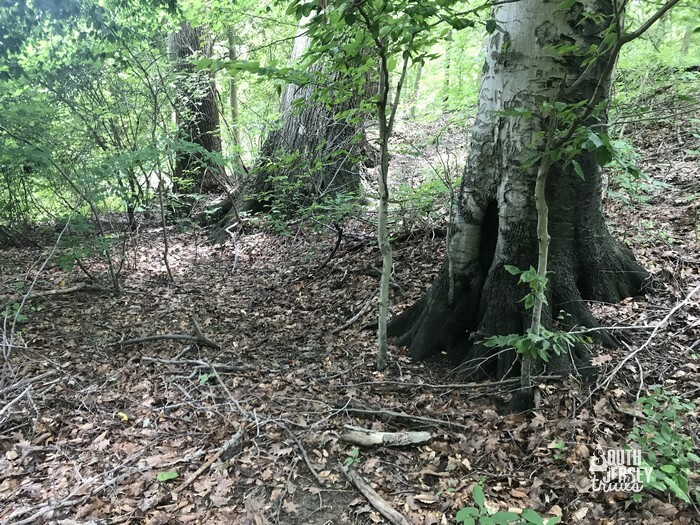 Like most hikes in the built up towns along the White Horse Pike in Camden County, this one is short (about a mile), close to houses, and well within hearing range of roads. What this has that the others don’t is that this spot, nestled along Big Timber Creek, was a favorite spot of Walt Whitman. 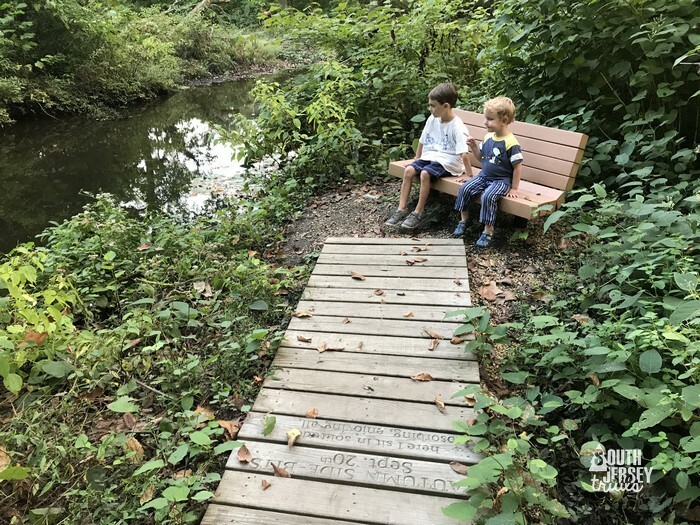 With that in mind, the town has built a beautiful walk along the creekside, with benches places along the way to sit and soak in the nature. 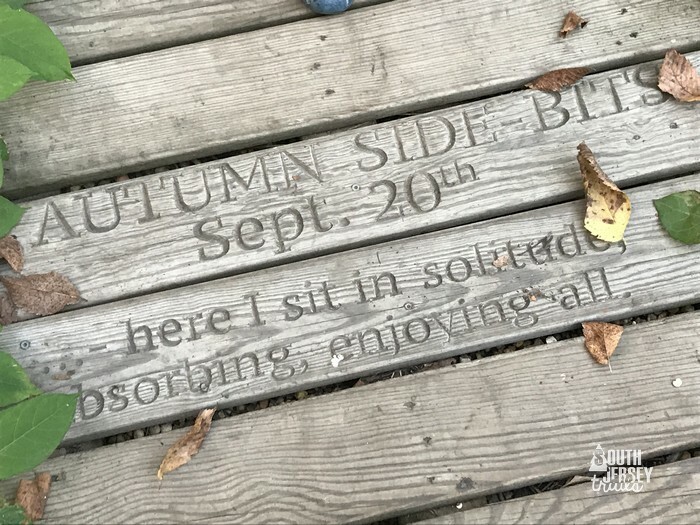 Inscribed on the walkway are snippets from Whitman’s poems, a beautiful touch to this little corner of Camden County. All together, it makes this a special spot to stop for a short hike and some quiet time in nature. 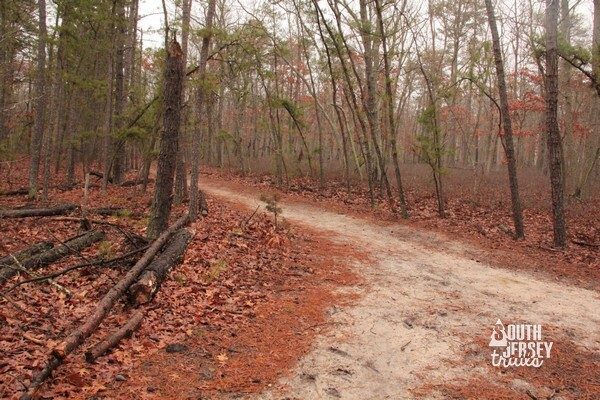 This little preserve is the home of the South Jersey Land & Water Trust, and what a wonderful little set of trails they’ve carved out here. There are about two miles of trails, winding up and down hills, around Olmans Creek. 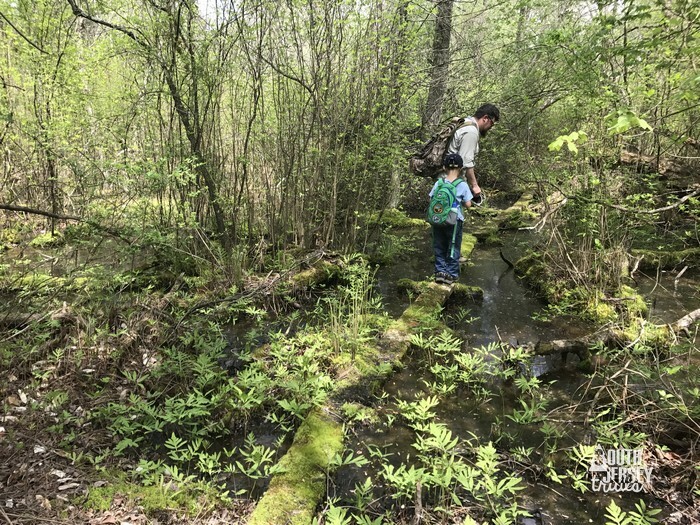 Along the trails, there is quite a variety of terrain packed into a relatively small area, from fields filled with butterflies, to swamps, to thick forest, to wetlands. There are also remains of the old Boy Scout camp to keep an eye out for, a little history to go with your nature. The best part? The SJL&WT is continually improving this place, so it will only be getting better! 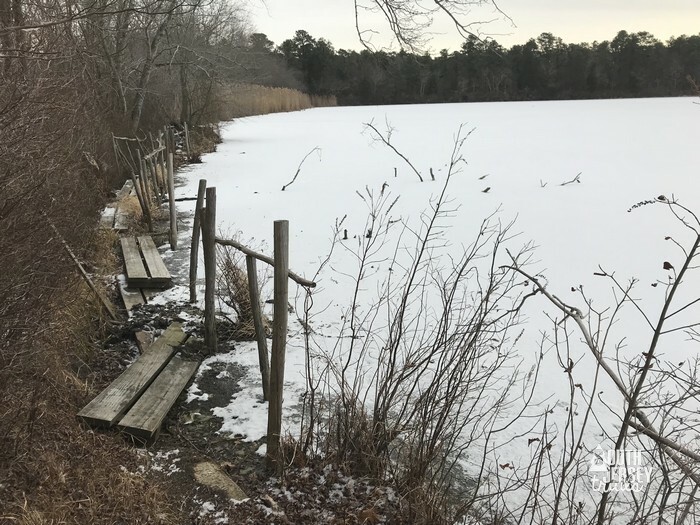 We explored this little, hidden corner of Gloucester County, with its roughly 5 miles of trails, back in the warm part of December (remember when it was warm? 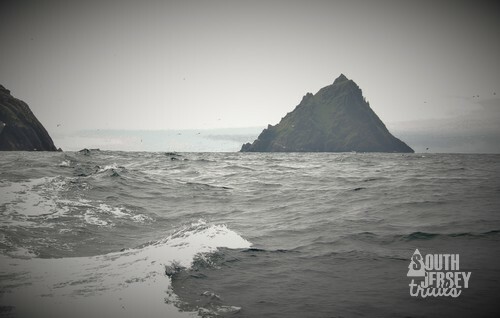 I miss that). 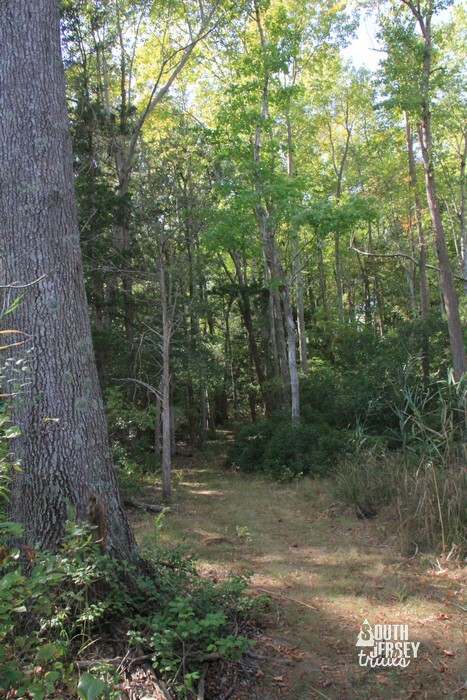 What we found was a spot filled with some pretty typical pine barrens woods, which was really nice. 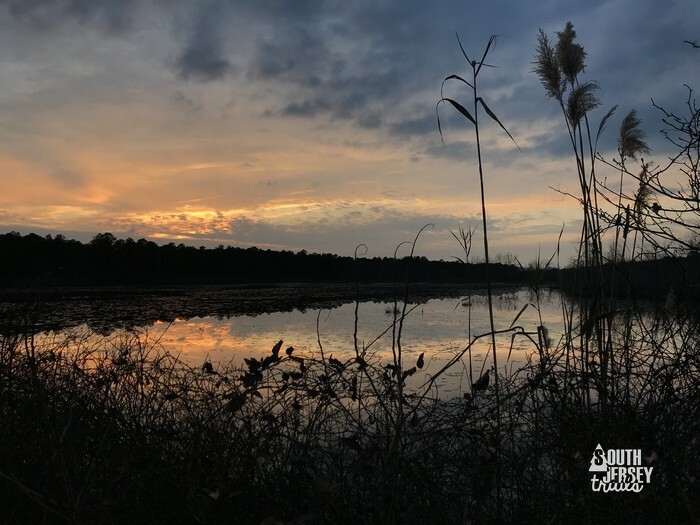 We then explored the old bog section of this preserve, catching a top-notch sunset. 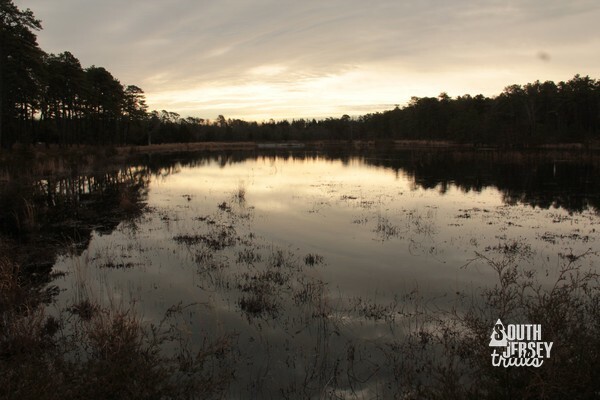 So come for the pine barrens, the bogs, and (if you can time it) the sunsets. Great spot to explore. Want some nice marshlands? Beautiful woods? 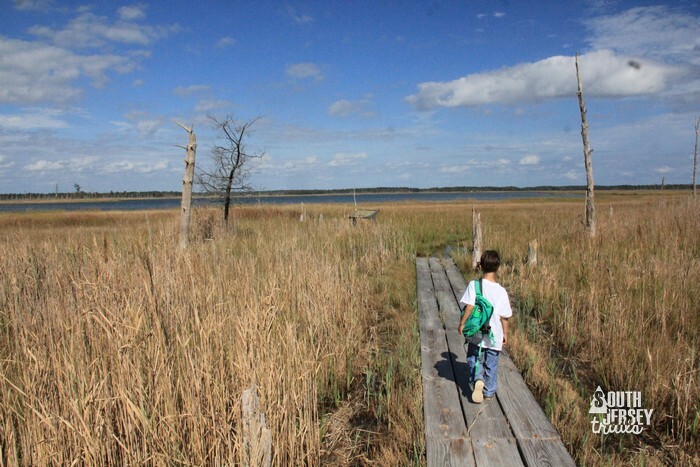 Then make the drive deep into Cumberland County to the Glades Wildlife Refuge. This place has a little something for everyone, with its four trails (the shortest is 3/4 of a mile, the longest 2 miles). 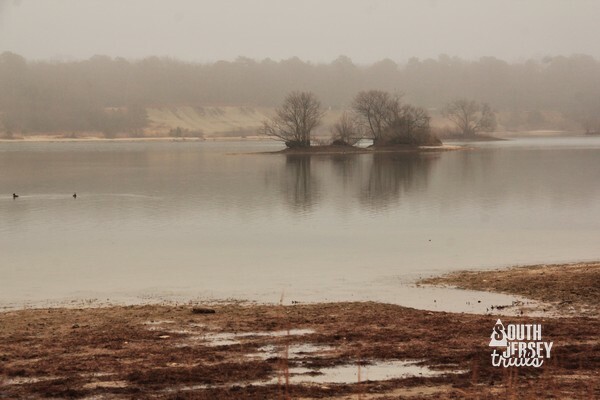 You’ll also have a serious chance to see osprey, falcons, and maybe even a bald eagle. It also features kayak and canoeing trails, which we will definitely have to come back here for. Wait, bald eagle? That’s right, a bald eagle. And while we sadly did not see a bald eagle in this preserve, we saw one just outside, so WINNING! 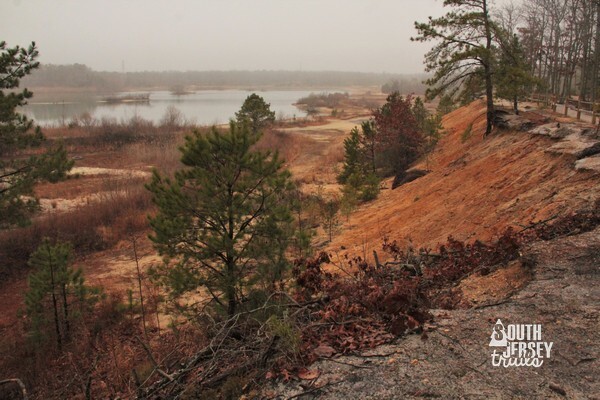 What happens when you take an old quarry that’s now a lake and put six miles of trails in it? 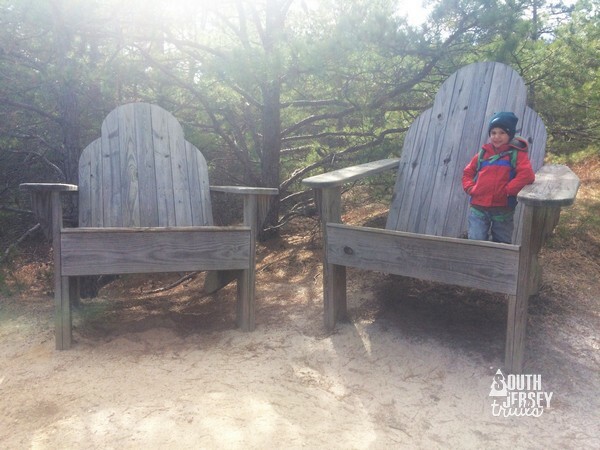 Egg Harbor Township Nature Reserve. 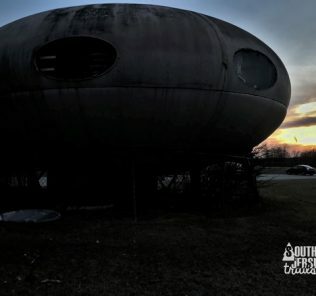 This is a beautiful place filled with pine trees, a billion birds, some leftover concrete pipes, and lots of room for adventure. There’s even an environmental learning center and a nature trail, which we’ll have to stop by to check out some other time. I hate to take sides, but Ocean County might have the best overall County Park system in South Jersey. 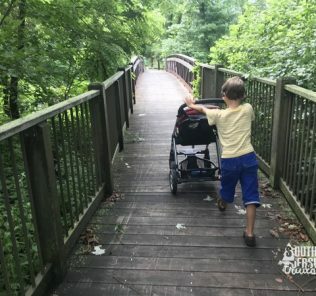 Everyone loves Wells Mills, Jakes Branch, and Cattus Island (all of which made our Top 10 list last year), but Cloverdale is the hidden gem of this system. It’s an old cranberry farm, complete with the buildings and the beautiful bogs. 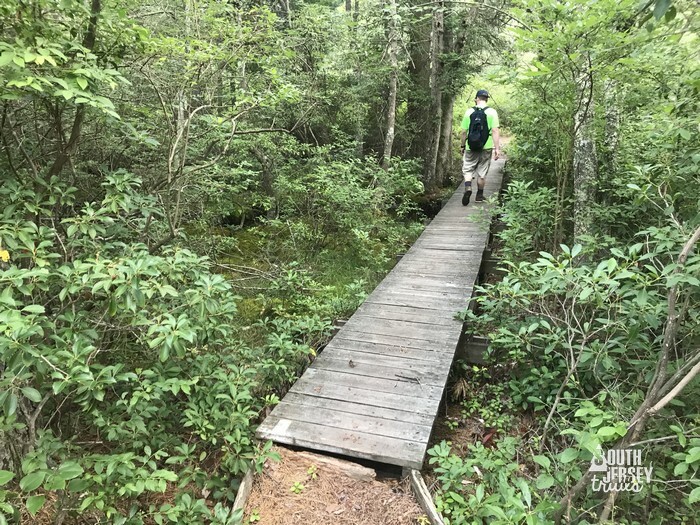 And while there are only 1 1/2 miles of blazed trails here looping around the edge of the bogs, its absolutely worth stopping in even if you only tend to do longer hikes. It’s almost 100 degrees with about a billion percent humidity. What do you and your buddy do? 8.4 mile hike! 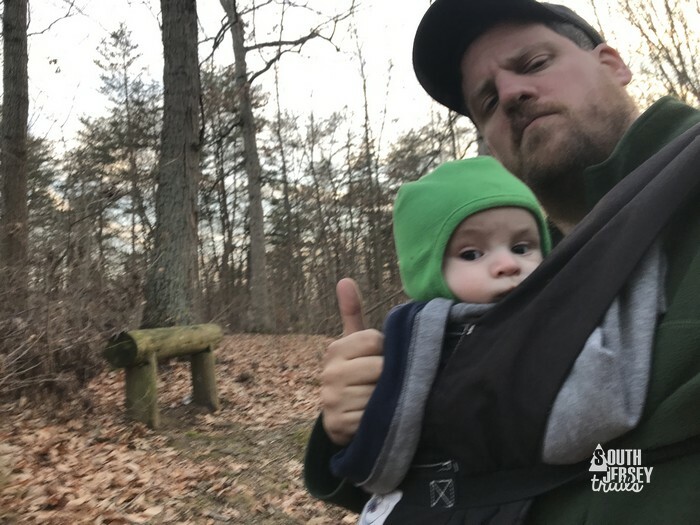 We took on the Penns Hill Trail in Wells Mills County Park. 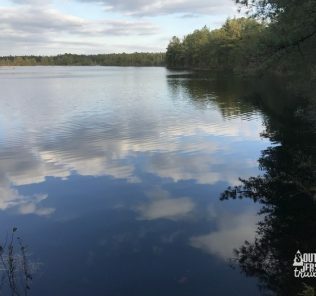 It features some lake views and a beautiful stretch of cedar swamp, but is nearly all pinelands. Mile after mile after mile of beautiful pitch pines, up and down hills (including the Penn Hill). Bonus? 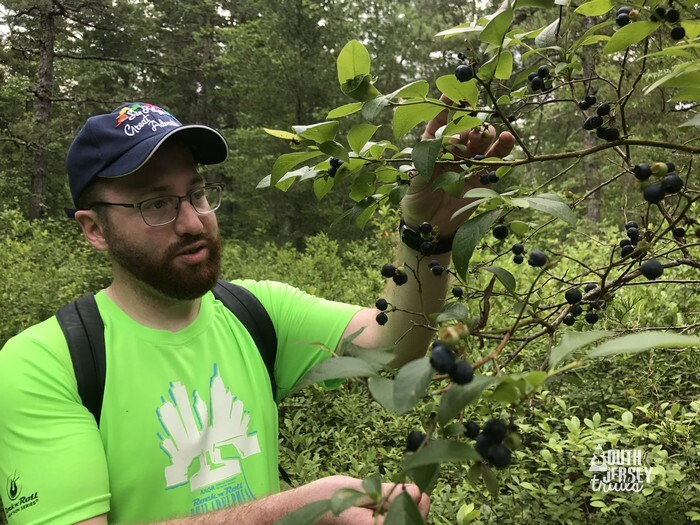 Go the right time of year, and its all the blueberries that you can eat! We had a lot while cooling off on breaks. Take that summer heat wave! Like natural scenery? Like history? Like birding? 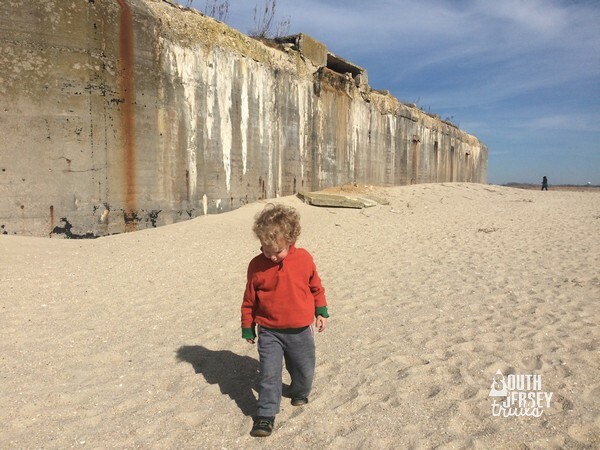 You can get the best of all three at Cape May Point State Park and it’s 3 1/4 miles of marked hiking trails (not counting a stroll on the beach). 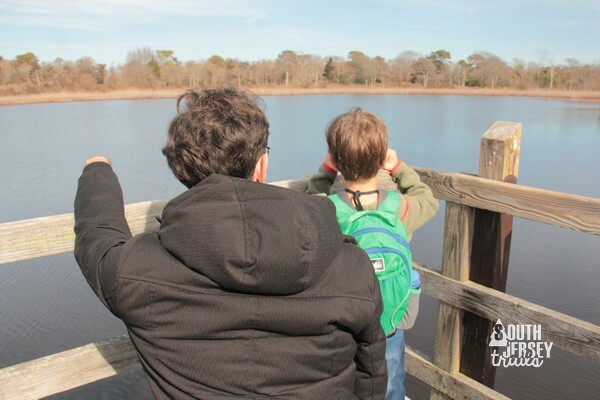 Boardwalks take you through the marshes, which allow for world renowned bird watching opportunities (seriously, world renowned). 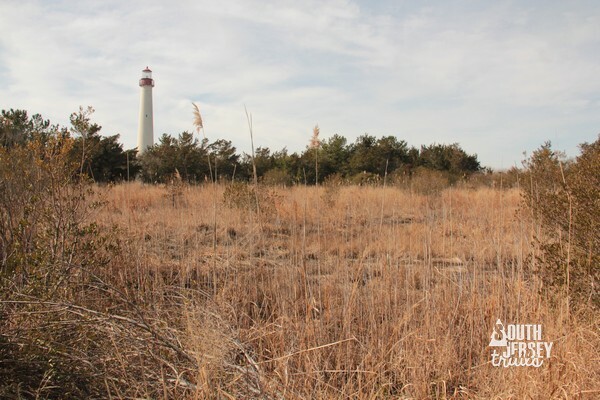 As if that wasn’t enough, historic Cape May Lighthouse and the old World War II artillery bunker are also located in the park. Unexpected Wildlife Refuge is a bit off-putting at first, because you need to make a reservation ahead of time, which can be intimidating. I promise you, the 10 miles of trails here are well worth it (also, they’ll be really nice to you when you reach out). 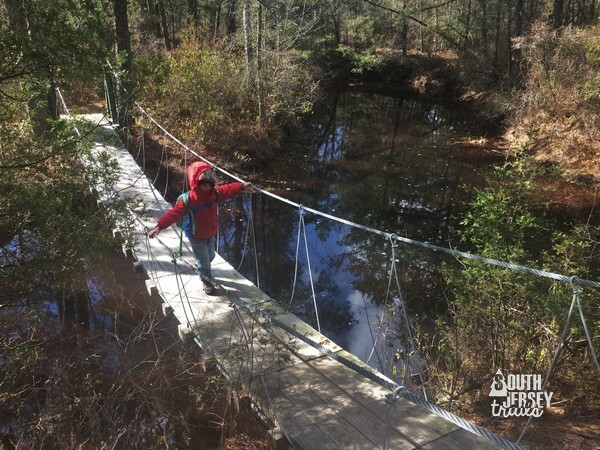 What you’ll get for your bravery is access to some of the hardest adventuring we’re done in South Jersey. You’ll need to balance on concrete balance beams over swamps (it’s awesome). You might have to bushwhack a bit to stay on the trail (worth it… also, the blazes are well done). You might have to climb over and around downed trees (fun!). You will need to prepare for ticks in season. 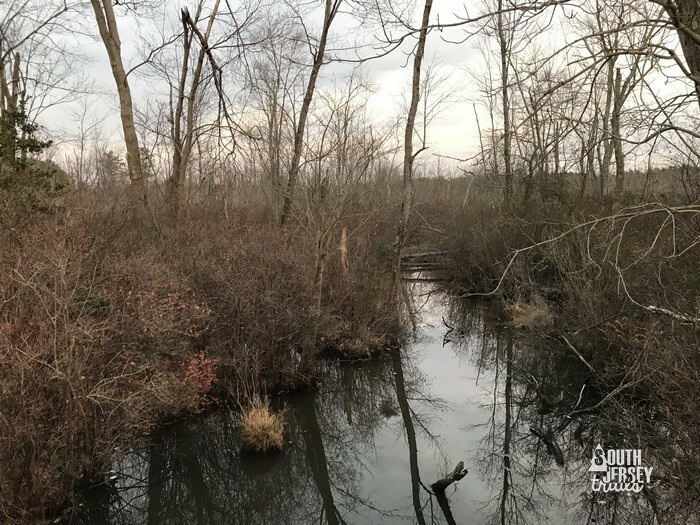 But if you know it’s going to be a bit rough AND you leave yourself plenty of time, you’ll have the opportunity to check out the handiwork of beavers and river otters. 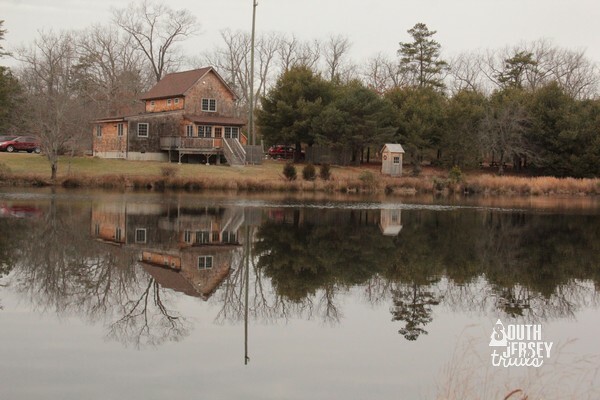 You’ll likely see deer and tons of birds (a bald eagle even hangs out in the bog sometimes). And it is an ADVENTURE. After only two times here, this is rapidly becoming one of my favorite places to hike, and The Pres LOVES coming here to balance on beams and look for beavers. The Red Trail in the Parker Preserve in Chatsworth is six miles of pure awesome. I’m talking suspension bridge and two giant Adirondack chairs awesome. 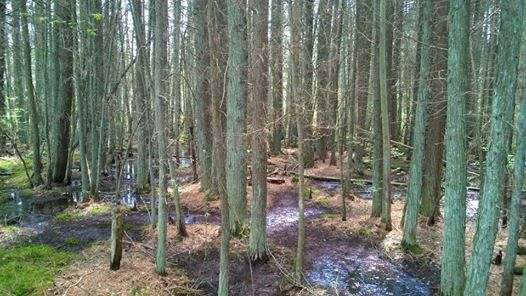 Then there are the old cranberry bogs, the pine forests, the burned out areas from the recent controlled burns, the small bridges, the beaver dam (which actually flooded part of this trail! 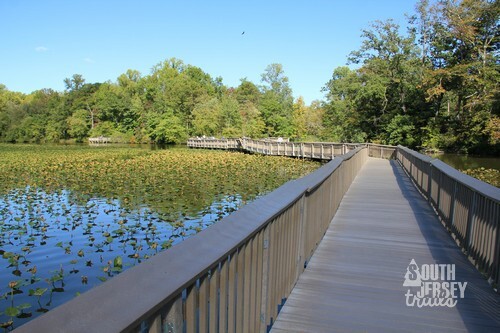 ), the cedar swamps… this trail has EVERYTHING! 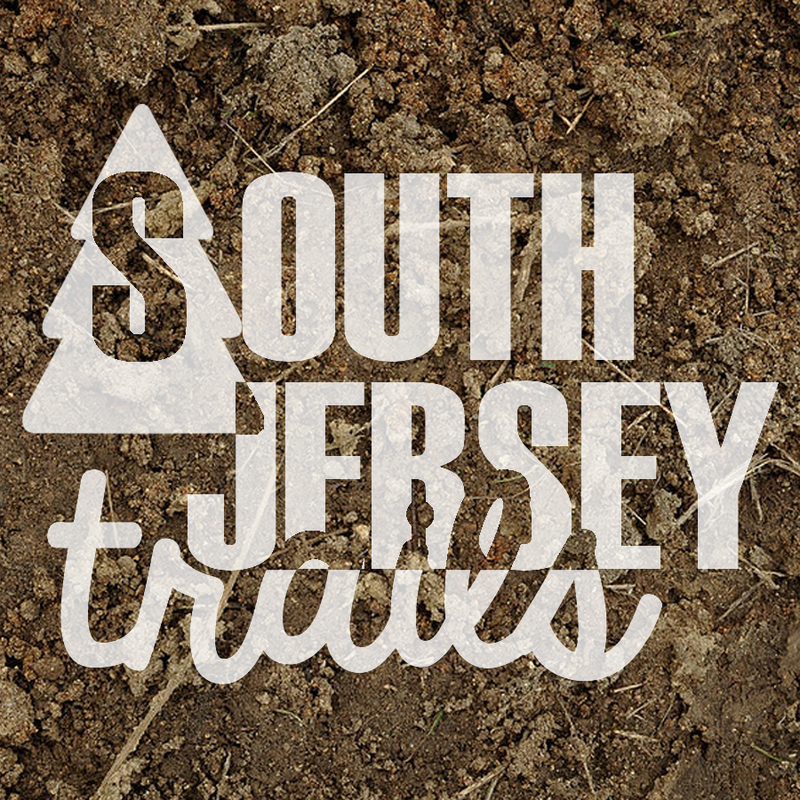 So make some plans to get out there and do some exploring, because there are a ton of great trails out there in South Jersey! 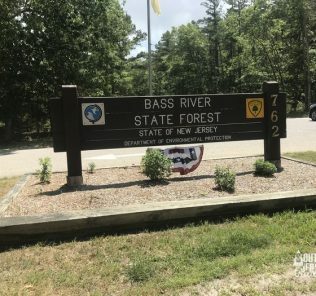 Your favorite South Jersey Trail not here? Maybe it was one of our favorites of 2016, 2015, or 2014/2013! 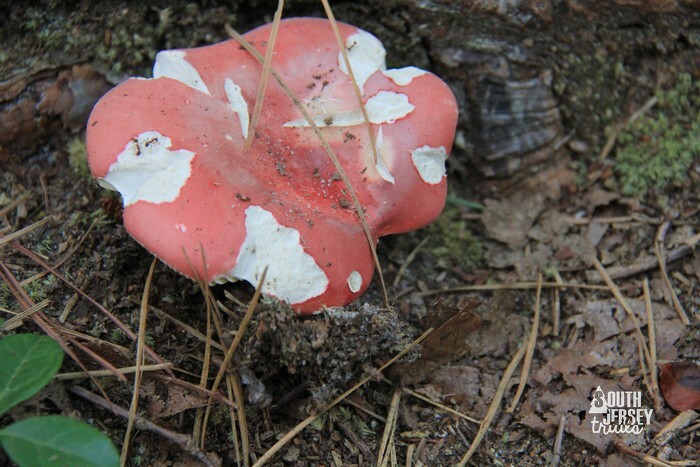 It also might be on our 14 Favorite in the Pine Barrens! 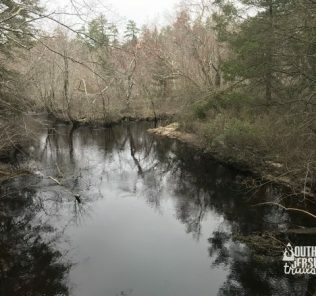 Need more trails, we have (as of this post) 164 trails documented across South Jersey, broken down by county and town! Overwhelming? Our handy, dandy Google map might help you see what’s close! Keep up the good work M! You have uncovered trails I never heard of. Congrats on the new member of the team! Thanks for doing this, it is very useful and informative. as someone else mentioned there are trails I never knew of! Excellent review! 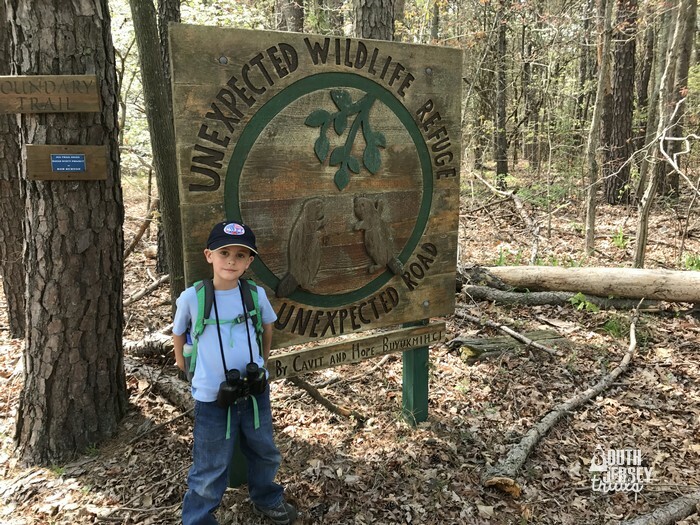 That “Unexpected Wildlife Refuge” looks great…a wonderful (and well-worth-it) challenge indeed! 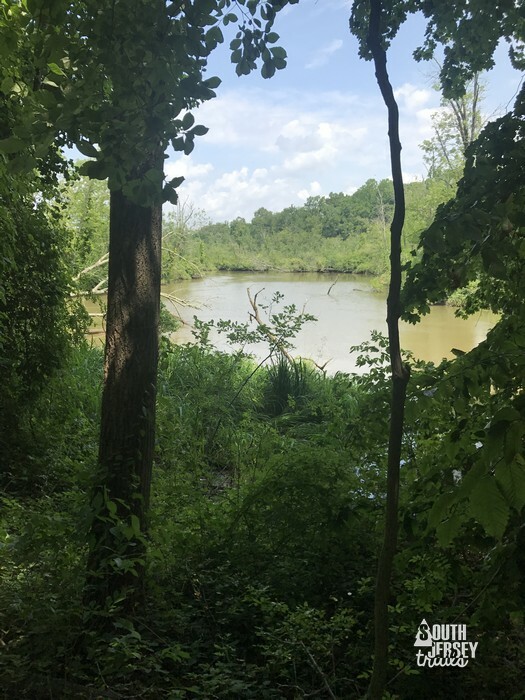 Thanks to your adventures, I have two lined up for later this spring/summer…”first-timers” for me: Whitman’s Walk & Oldman’s Creek Preserve. 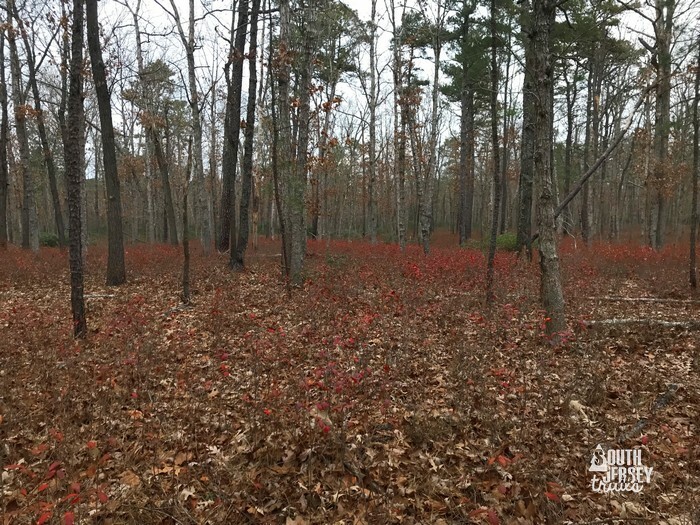 Will possibly check out Piney Hollow Preservation Area too. BTW — there were four places that you did within the past few years that I got to check out this past year as well: Wenonah Woods (east & west of the tracks), Tall Pines State Preserve, Ceres Park and Cameron Wildlife Preserve. It’s like your blog is feeding me with escellent ideas, as 95% of the hikes I did last year were “first-timers” as well, and I plan on repeating that idea this year. Anyway — thank you (as always) for the excellent blog; I also enjoy reading featured articles that reference your website! 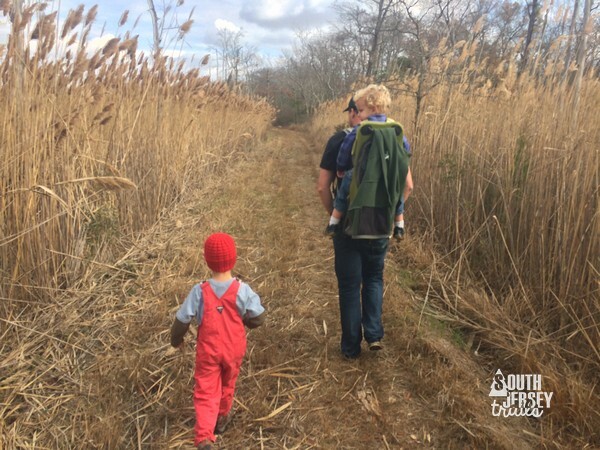 Always looking forward to your next adventure (with the kids too, of course)! Awesome! I have not done those three, I’ll put them on the list! BUY OUR SHIRT! BUY OUR SHIRT!